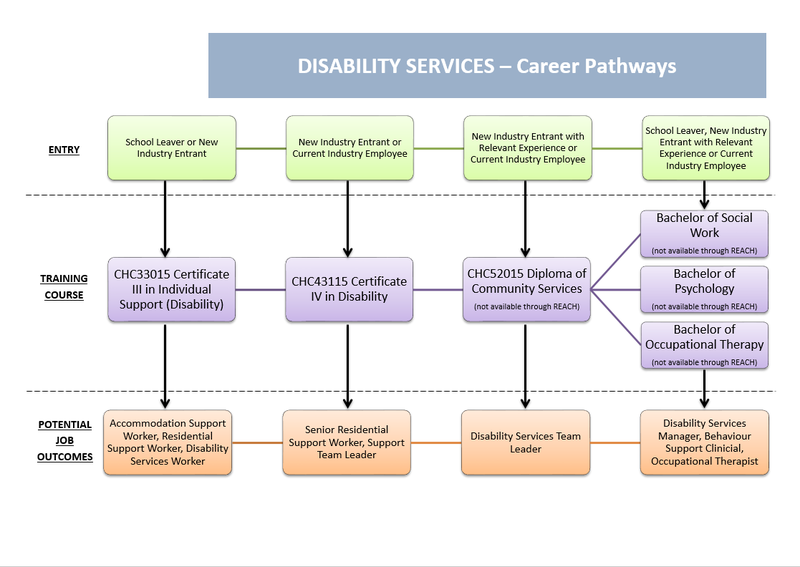 Overview: This qualification reflects the role of workers in a range of community settings and clients’ homes, who provide training and support to empower people with disabilities to achieve greater levels of independence, self-reliance, community participation and overall well-being. Workers promote a person-centred approach, work without direct supervision and may be required to supervise and/or coordinate a small team. This qualification addresses work in residential group homes, training resource centres, day respite centres and open employment services, other community settings and clients’ homes. These workers:. *This qualification can also be done as traineeship.